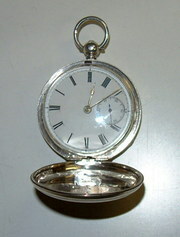 Lovely pocket watch made by R Christie of Edinburgh. 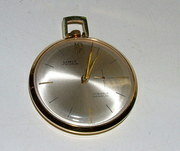 Hallmarked Birmingham 1900. 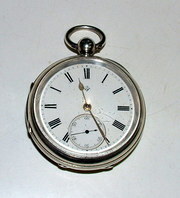 Beautiful Silver fusee pocket watch made in London 1861. 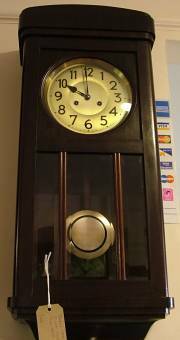 Rare, and fully working. 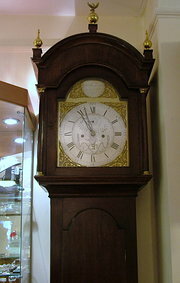 Gilbert Bannerman clock and watchmaker from Banff, 1764 - 1812 Oak 8 day longcase clock with a brass/silvered dial. 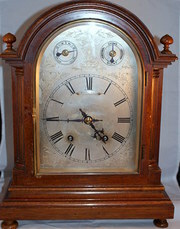 c. 1925 Arts & Crafts 'Ting Tang' oak longcase clock. 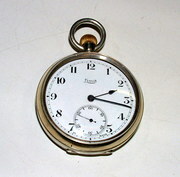 An 8 day weight driven clock with a 9 inch brass dial and rod gongs. 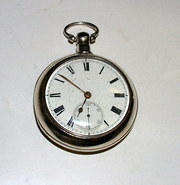 Pendulum + face decorated with a hammered + rivetted design.